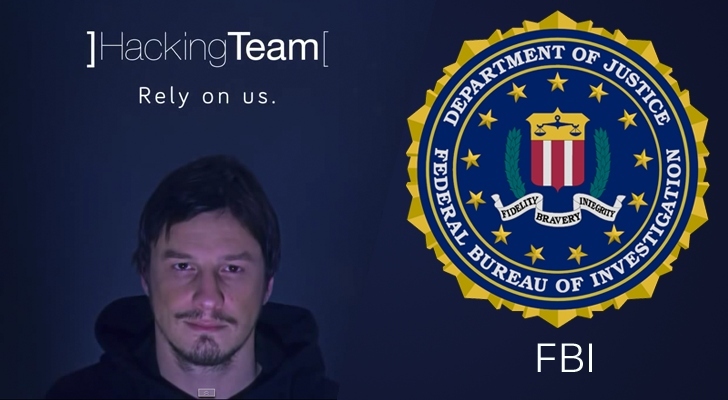 The huge cache of internal files recently leaked from the controversial Italian surveillance software company Hacking Team has now revealed that the Federal Bureau of Investigation (FBI) purchased surveillance software from the company. The leaked documents contains more than 1 Million internal emails, including emails from FBI agent who wanted to unmask the identity of a user of Tor, the encrypted anonymizing network widely used by activists to keep their identities safe, but also used to host criminal activities. In September last year, an FBI agent asked Hacking Team if the latest version of its Remote Control System (RCS), also known as Galileo - for which the company is famous for, would be capable to reveal the True IP address of a Tor user. The FBI agent only had the proxy IP address of the target, as according to FBI, the target may be using Tor Browser Bundle (TBB) or some other variant. So, the agent wanted to infect the target's computer by making him download a malicious file. "We'll need to send him an email with a document or PDF [attachment] to hopefully install the scout [Hacking Team's software]," the FBI agent wrote in the email. In response to the FBI agent query, A Hacking Team staff member said that once the target's computer is infected, "if he is using TBB you will get the real IP address of the target. Otherwise, once the scout is installed…you can inspect from the device evidence the list of installed programs." So far, it isn't known whether the agents were succeeded in revealing the IP address of the target Tor user or who the target was, but internal emails clearly indicates that this FBI agent took full advantage of Hacking Team's service to unmask Tor users. "[The FBI] continue to be interested in new features all the more related to TOR, [virtual private networks] VPN and less click infections," the same FBI agent said in other emails. "In the past their targets were 20 per cent on TOR, now they are 60 per cent on TOR." Overall, the FBI has spent nearly $775,000 on Hacking Team's spy tools since 2011, Wired reports, although the internal emails indicate that the Remote Control System (RCS) tools were used as a "back up" for some other system the agency is already using. Remote Control System (RCS), or Galileo, is the advanced and sophisticated spyware tool for which the Hacking Team is famous. It came loaded with lots of zero-day exploits and have the ability to monitor the computers of its targets remotely.